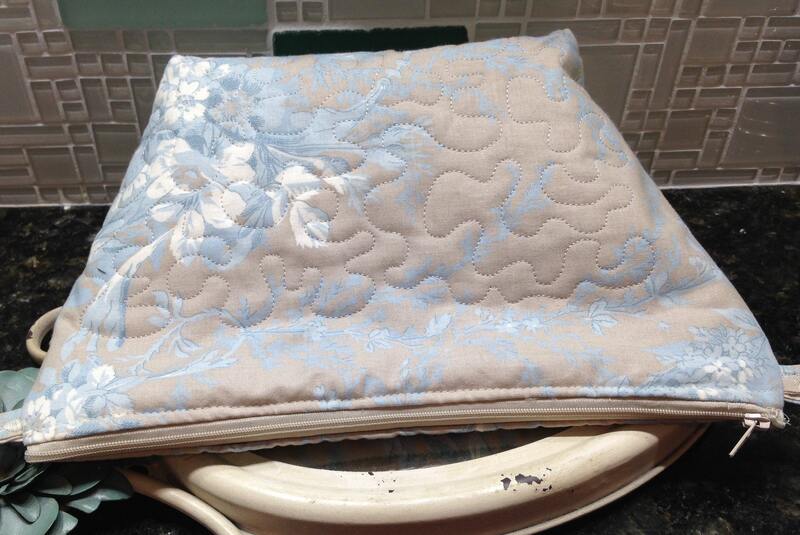 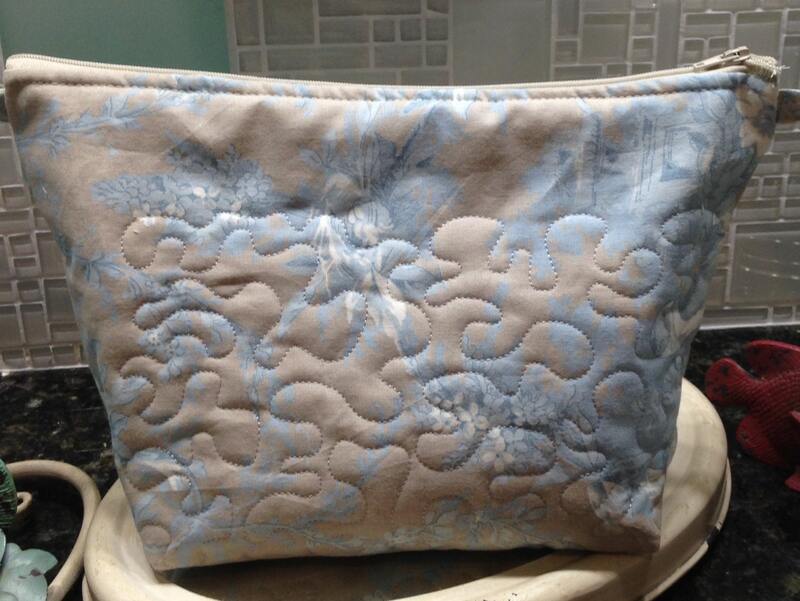 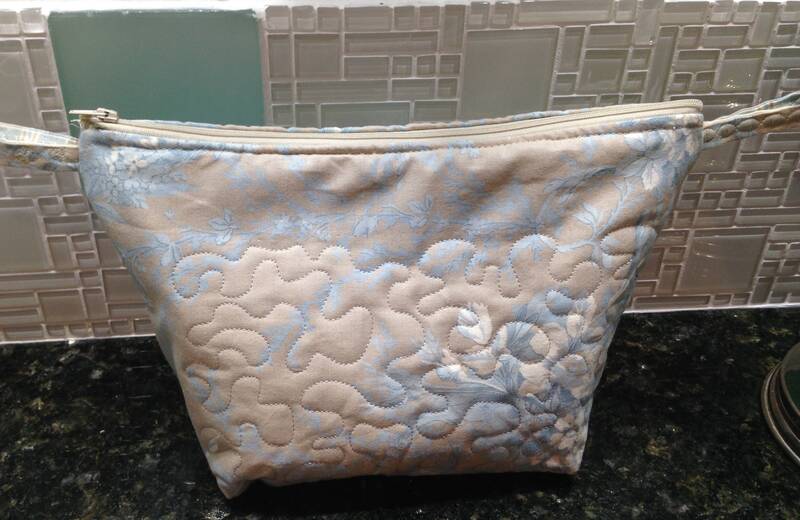 This beautiful blue and cream women's toiletry bag is made from quilted Laura Ashley home decor fabric. 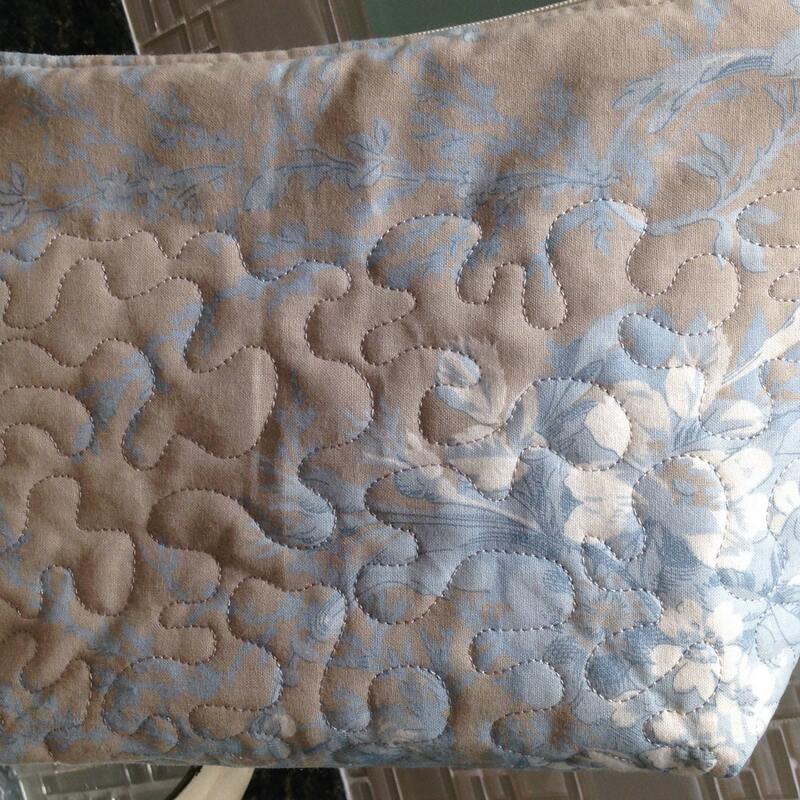 It is lined with striped fabric from the same blue color family. 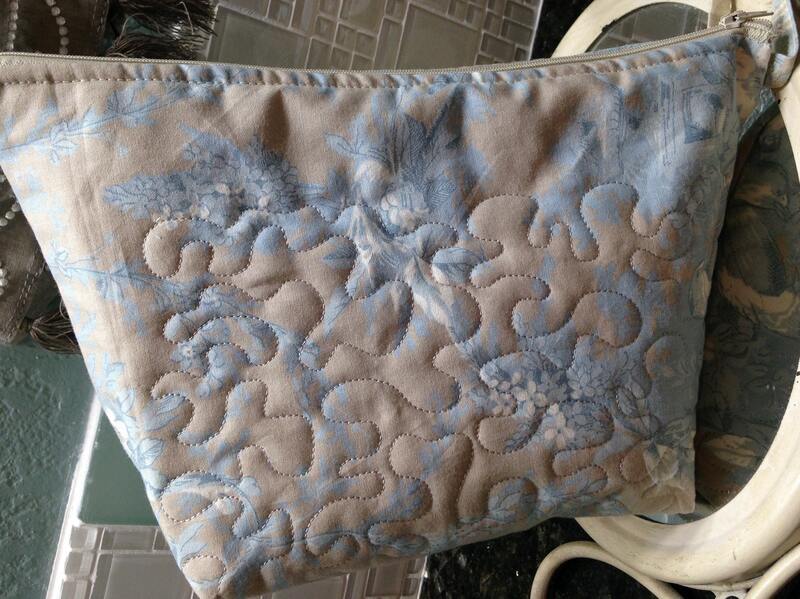 The zipper at the top is a complimentary cream color and there are two fabric tabs on the top corners making the bag easy to open and close or to hang up the bag. 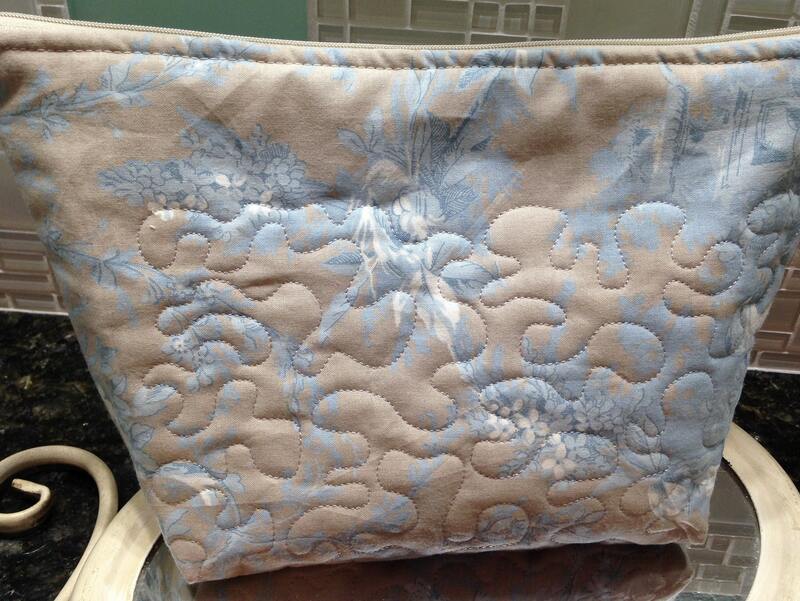 The bag is lightly padded and quilted with a stippling pattern in silver. 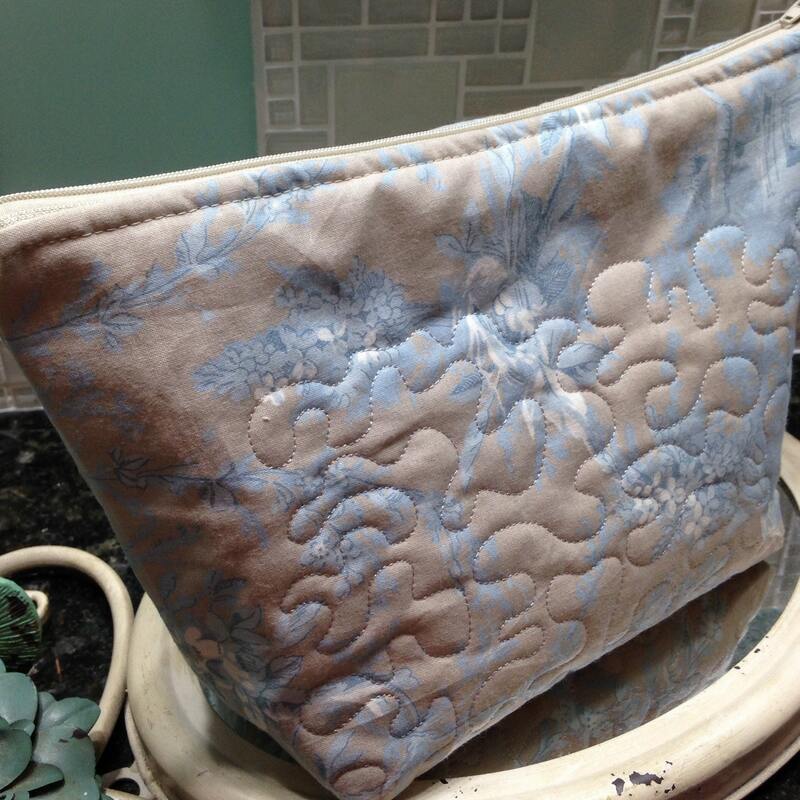 A medium size at approximately 7" by 11" with a 4" base, it's not too big not too small but just the right size to carry your travel kit. 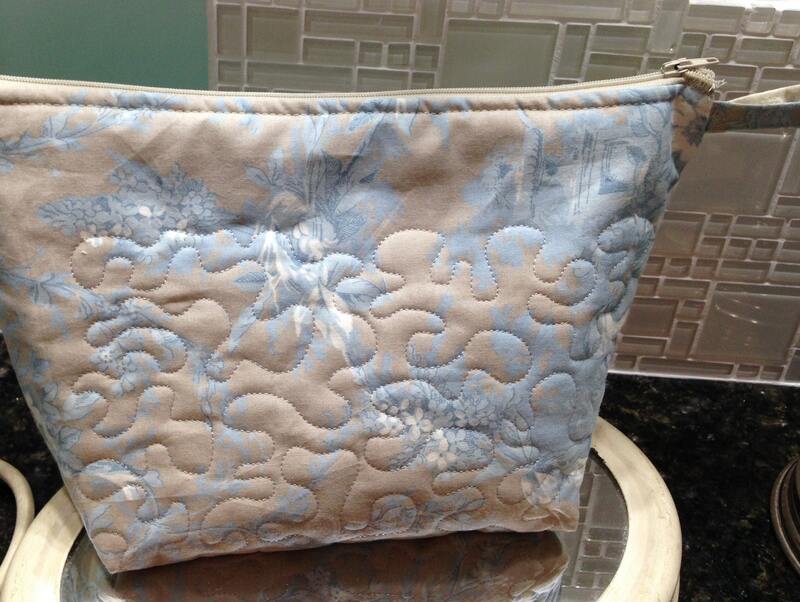 Pair this with one of our travel lite carry all bags for your perfectly stylish week end get away. 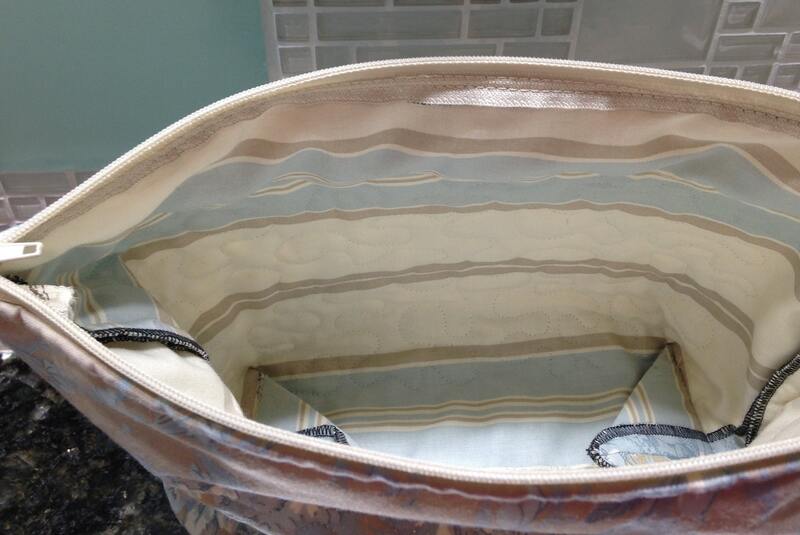 All inside seams are serged for longevity. 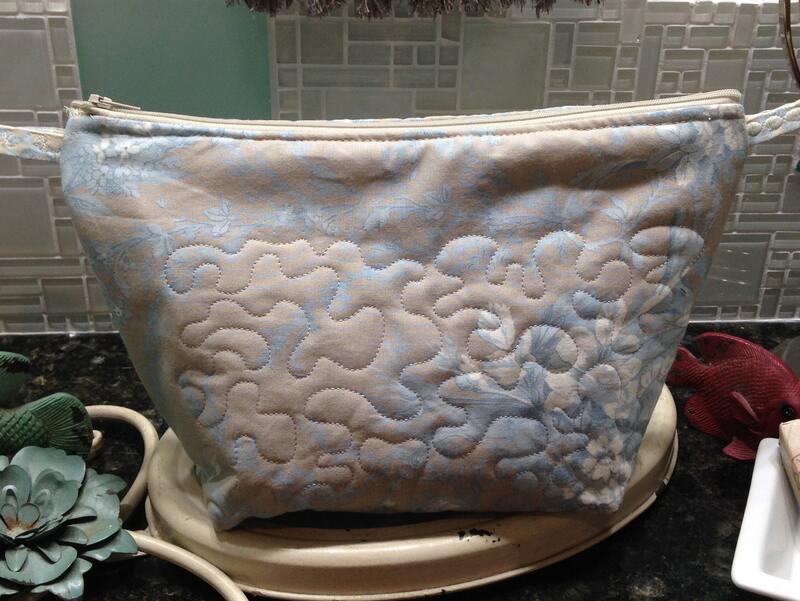 Wash your toiletry bag in cold water on gentle cycle and air dry for best results.